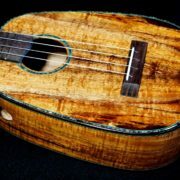 This Paua Moon Tenor Pineapple Ukulele didn’t last long at Hale Ukulele. 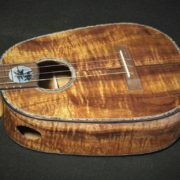 A nice gal from the Bay Area decided to take it home last week. 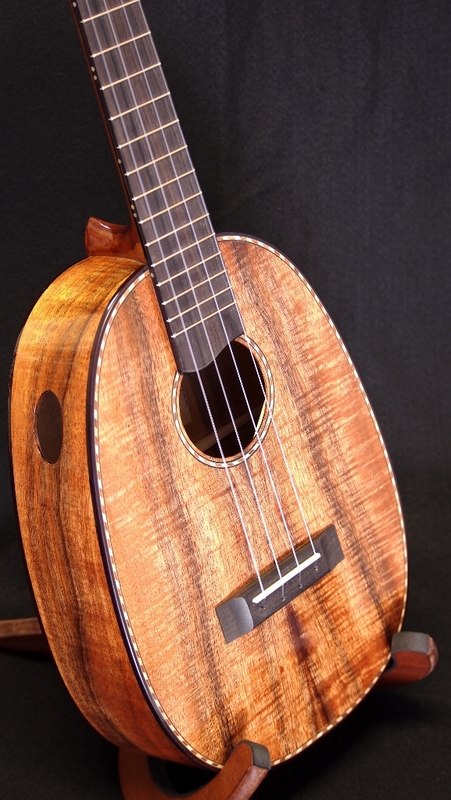 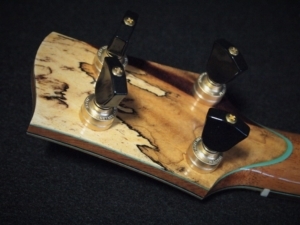 This ukulele is made from an unusual set of drippy, curly, blondish Koa that just screamed ” make mine a pineapple”. 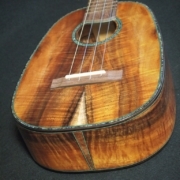 This set of koa just screamed “make mine a pineapple”. 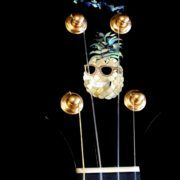 Of course, you can’t have a Pineapple Ukulele without some form of adornment. I added the Paua Moon Inlay that I have used successfully in the past. This inlay is on the tongue of the fret board. 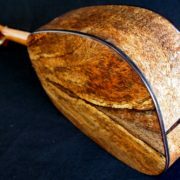 I’m out and have to get some more. The Paua Moon Inlay goes well with the Paua Purfling. 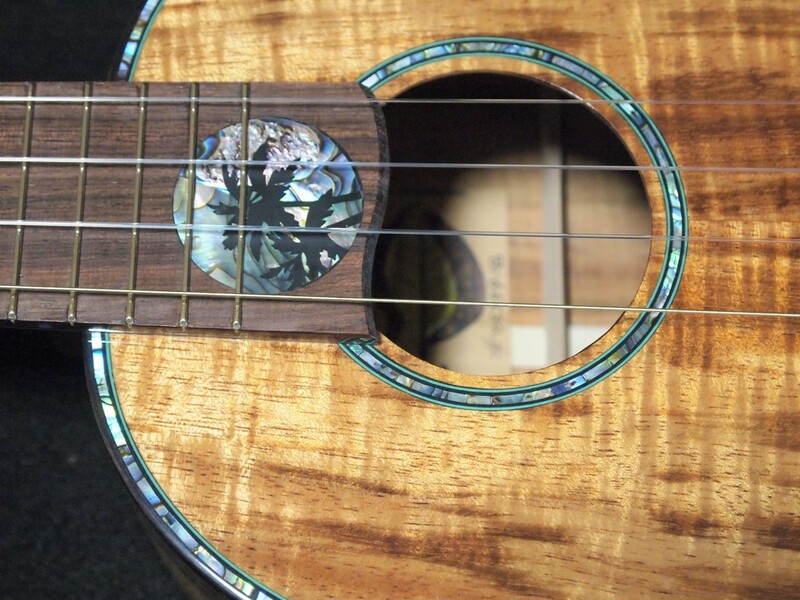 Love the Paua Pinapple Moon Inlay. 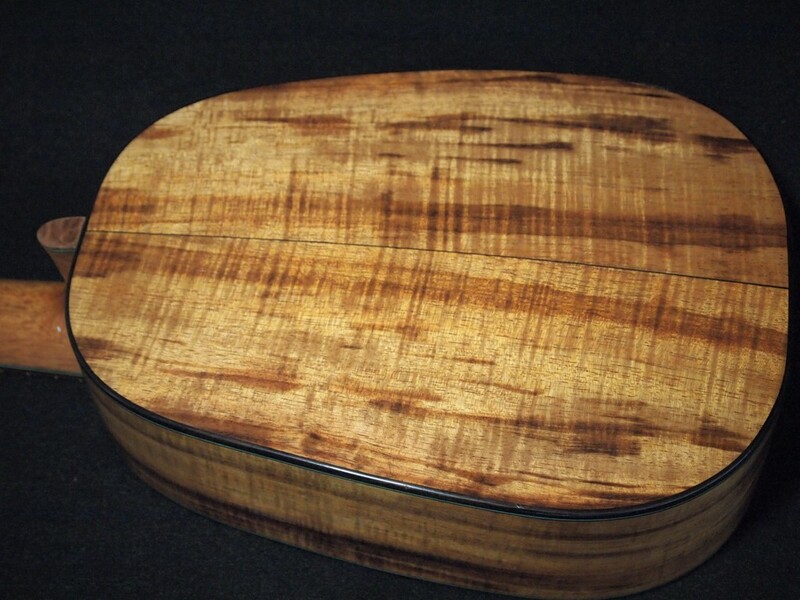 The accent wood is some of the Spalted Tamarind wood that is left over from previous builds. Just trying to have fun and break it up a bit. 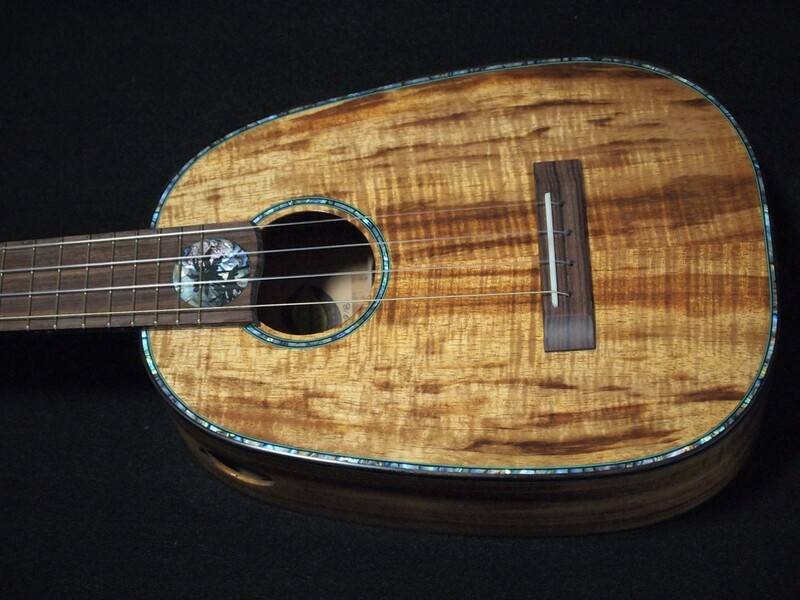 Guess I better check my stash for some fun Koa for another Paua Moon Tenor Pineapple Ukulele.